Sugar-soft sand, lush, tropical rainforests, and sprawling oceanfront villas make Thailand an ideal honeymoon destination. However, travelers are often surprised to find that unlike the Caribbean and Mexico, Thailand doesn’t have many all-inclusive resorts. But that shouldn't deter you from choosing it as a romantic getaway. In fact, the reason Thailand doesn’t have many all-inclusives because it’s such an easy place to travel and plan that there’s just no need for packaged, pre-paid vacations when you can put one together so easily on your own. Plus, everything in Thailand is very affordable (especially for Americans), so you won’t save any money with an all-inclusive here compared to paying à la carte. Thailand is a very safe place and a country you will likely want to explore. 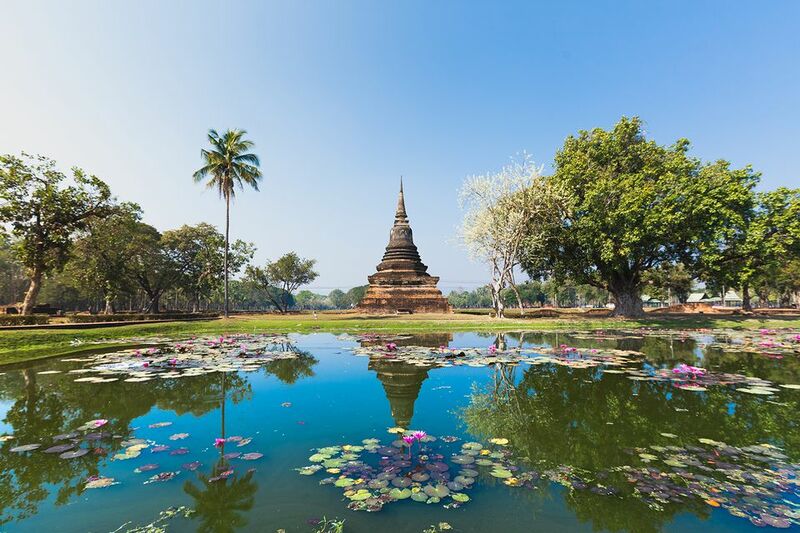 Having all your food, drinks, and activities on one compound wouldn’t be as fun in this country, where there is always something exciting to see, from the ornate temples to the jungles teeming with wildlife. If you are still set on an all-inclusive honeymoon, there are a small handful of resorts in Thailand to choose from. Set on the popular, family-friendly Kata Beach, this is Club Med’s only property in Thailand. The vast, manicured grounds overlook Kata Bay, and it’s just a short walk across the road to get to the beach. Rooms are comfortable and modern, with some discrete Thai design elements. Like other Club Med properties, Club Med Phuket offers full board with drinks, though because the food is so plentiful and inexpensive (and safe to eat) in Phuket, you may want to taste some meals outside of the resort as well. Some of the Evason Six Senses resorts in Thailand offer all-inclusive packages, which include transportation from Bangkok, lodging, and meals. Six Senses Sanctuary on Phuket has packages that feature its acclaimed cuisine, wellness classes, and spa treatments. Meanwhile, Six Senses Soneva Kiri on Koh Kut—one of the most high-end (read: pricey) Thailand properties—offers packages that include transfer by private plane from Bangkok’s international airport, food, drink, laundry, and most activities. Both resorts are stunning, exclusive, and very expensive, making them perfect for a honeymoon if you don't mind the splurge. The Village Coconut Island is a remote retreat on a secluded island off the east coast of Phuket, facing Phang Nga Bay. To get to the all-inclusive resort, guests must take a water taxi, which runs 24/7. Once there, they can enjoy the private stretch of sand, infinity swimming pools, three restaurants, an on-site spa with a hydrotherapy pool, and sprawling villas with living rooms, kitchenettes, and private plunge pools, in some. The all-inclusive package covers all resort drinks and food. Guests who book Club-level rooms and villas at Centara Grand Beach Resort will have access to the all-inclusive amenities and Club lounge meals, such as buffet breakfast, light lunch, afternoon tea, plus happy hour cocktails and canapés. The resort also has three pools—one for kids and two for adults—as well as a serene spa.